As far as sticking to traditions goes, on this one I have been pretty good. It started early in my childhood, when I would typically board a train south, across the alps and into Italian-speaking Ticino, where my nonna would await with warmer weather, better food and lots of chocolatey treats. That particular migration has lost nothing of its appeal to many northerners, as evidenced by the endless traffic jams in front of alpine tunnels year after year. I, however, have moved on, both metaphorically and physically. But in principle, nothing has changed. Easter eggs are to be searched away from home, and the first long weekend of the year has to be spent travelling somewhere. In the past few years, the Easter Bunny had to deliver my treats to Egypt, South-East Asia, Berlin, and more recently Tennessee and Mexico City. So imagine my shock when, about two months ago, I suddenly realized that for this Easter weekend, nothing had been planned. An evening of frantic airfare searches and destination wishlist cross-referencing ensued, followed by a pressing appeal to my most reliable travel buddy. Only once tickets were booked could I rest comfortably again. And so it came that this Good Friday, I boarded a plane to the Windy City, which despite countless airport transits I had not visited as a tourist in a decade. Since then, a lot has changed, and under glorious blue skies and temperatures testifying to the end of winter, we explored both within the loop and outside of it. The trip also gave us the opportunity to take in one of the much recommended Architecture Tours. Travelling through Chicago's south side on the famous "L" train, our guide provided eye-opening views on the many design masterpieces the city hosts (not something you'd expect if you judged by the airport). No Easter weekend, of course, is complete without a proper egg hunt. Fortunately, ours was rather easy. 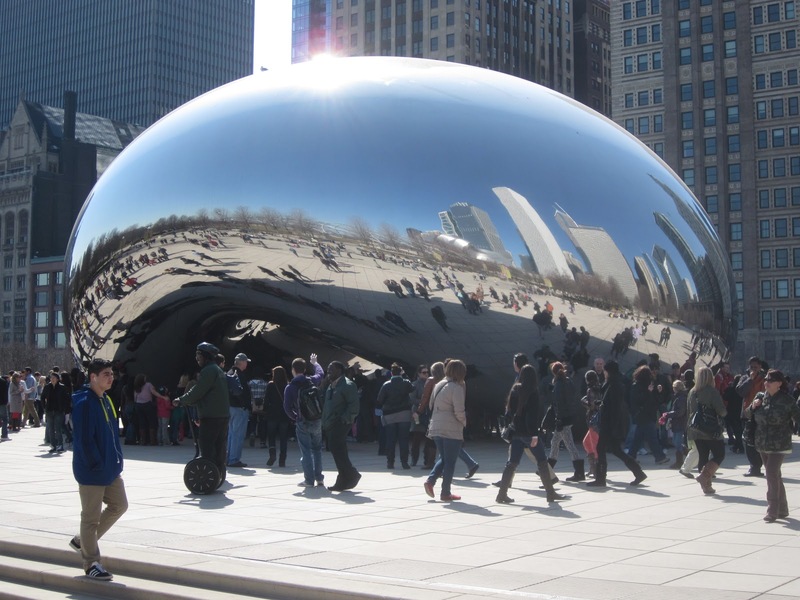 We simply followed the crowds to Millennium Park, along the shores of Lake Michigan. And there it stood: Big, hard, shiny, and albeit somewhat oddly shaped, by far the most impressive Easter egg I'd ever seen. On its reflective surface, my triumphant smile was testimony to a successful hunt - and a tradition kept for another year.